In Shashemene, Ethiopia a woman was walking one morning early last month along the river that runs behind a church. She heard a baby’s cry and began searching along the river bank. There in the dirt she found a tiny baby boy. 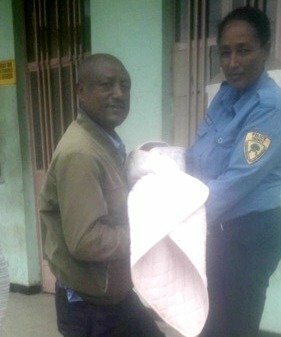 She enveloped him in her wrap and took him directly to the police. It was estimated that he was about two months old and very weak, so he could have been there for quite some time. The Ministry of Women’s and Children’s Affairs was alerted and with the police a search was conducted to try to find anyone who knew about him, but to no avail. 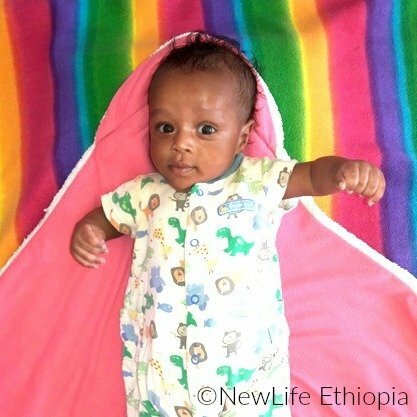 He was given to our orphanage as soon as it was determined no birth family could be identified. This is a familiar and tragic story, isn’t it? It is the story of so many of the children we receive from the police. But God is allowing us – with your help – to rewrite the ending to many children’s life stories! 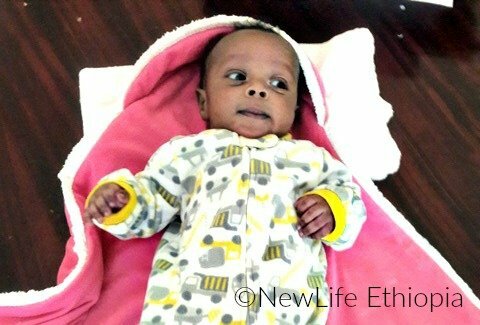 Fayisa is now 3 months old and is putting on weight slowly but surely after a month of his nannies’ love and nurture plus good preemie formula. We are seeking a sponsor for Fayisa and several of his buddies at Mana Gammachuu orphanage. For $50/month you will help us give them the formula they so desperately need as we work to find a family who will adopt each of them. Be part of a truly happy ending! 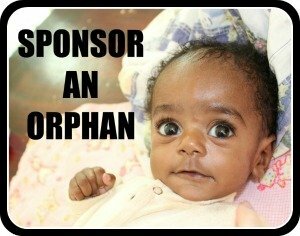 Will you sponsor a child today?